Is this any way to treat the most needy? 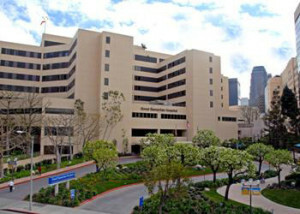 Los Angeles prosecutors have announced a $450,000 settlement with yet another of the city’s hospitals accused of “patient dumping,” the practice of hustling individuals, particularly the poor and homeless, out of an institution as quick as possible and without full regard to the effect. In this instance, a well-known hospital near downtown Los Angeles gave emergency care to a homeless man for a foot injury, and then gave him a bus token, shoved him out the doors and he eventually ended up in the city’s notorious, hellish Skid Row district. His condition quickly worsened and he required further treatment at another emergency room, where authorities learned of his early shabby care and subsequently decided to pursue a dumping case. The hospital involved, which has been notable for stepping forward to provide indigent care and to prevent patient dumping, admitted no wrongdoing. It said it would be less expensive to pay the fine and avoid a legal fight with the city. For L.A. prosecutors, this is the latest of several cases involving patient dumping, which city officials say they will not tolerate and for which they have established guidelines for hospitals across the metropolis to stay out of trouble. It is true, as the latest offending institution notes, that Los Angeles has one of the nation’s most severe challenges in dealing with the poor and homeless. Hospitals, by law, must treat them if they show up at their doors. But because of poverty and neglect, these patients often have multiple, complex, and hard to treat conditions that require extensive resources. Some are mentally ill. There aren’t a lot of places around offering further help to send these needy patients to. And as the federal government seeks to reduce health care costs and demands greater efficiency, big city hospitals and academic medical centers are facing penalties, which they insist are unfair, for treating the sickest, poorest, and most needy, especially if they offer careful, deep care. Despite the relentless partisan rancor that surrounds it, the Affordable Care Act, aka Obamacare, is helping the poor, offering them coverage they lacked before and reducing their medical debt, a growing amount of research show. A key goal of the act was to get poor patients out of emergency care, the most costly option around. But Obamacare’s reach has been constrained by state officials, for example, who refuse to expand Medicaid in their states, notably in the South. And even its most ardent advocates will concede that the ACA was the proverbial policy camel─a big, complicated, messy set of compromises reached by horse-wishing committees of epic scale. It seems there’s news by the day that Obamacare is succeeding or floundering. This includes reports that some insurers─who are still making a mint overall but were half-hearted about being in the ACA─are pulling out of the program nationwide. As I’ve said before, Obamacare is . It needs fixing, not replacing. Our health and well-being also cannot simply rise and fall on this act alone. The poor need a robust social safety net, public and private, and, in the richest nation in the world, it’s shameful that we keep hacking at it to make it smaller or not providing it all.